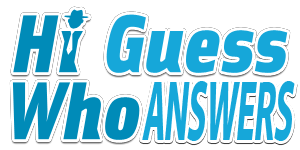 Hi Guess Who Answers is a fan-site, all about Hi Guess Who. What can we say? We love the Hi Guess series of games! Hi Guess Who Answers is the ultimate resource for cheats and solutions to every Hi Guess Who level. Hi Guess Who Answers | Hi Guess Who Cheats This site is not endorsed by or affiliated with CamMax.